We are being bombed by offers for upcoming Black Friday. As an international customer, I'm always on a hunt for a good deal, especially if there's no shipping costs. 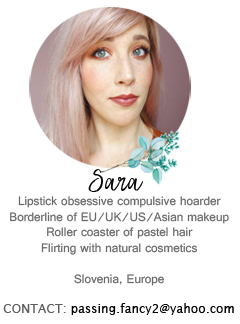 The most outstanding Black Friday offer is definitely going to Sigma Beauty - who could resist 25% OFF + FREE worldwide shipping? I mean, c'mon, when I was buying Sigma brushes years ago, free shipping and discount were never together as one. Either you got discount or free shipping on Cyber monday. You're in luck if you're searching for new brushes. Let's get down to business! I'm more than obsessed with Sigma brushes and majority of my brush collection is out of 4 Sigma Brush Sets (some where bought, some were gifted) and individual brushes. I have to start with Sigma 3DHD Kabuki (25$, black/white, online), which won several times as the best brush. It's truly amazing with liquid foundation and it gives an airbrushed finish. 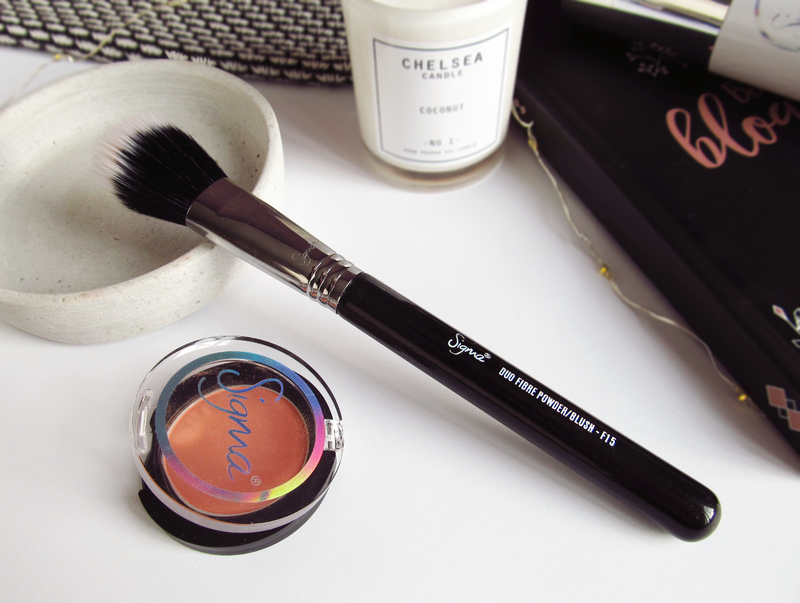 The shape is rather unique and perfect to use on every face area. 3DHD Kabuki buffs out liquid foundation, cream blush or cream contour. A personal favourite buffing brush in my collection. Smaller sister is 3DHD Precision brush (20$, chrome/copper/white/pink, online), perfect for buffing out small areas and perfecting your concealer. 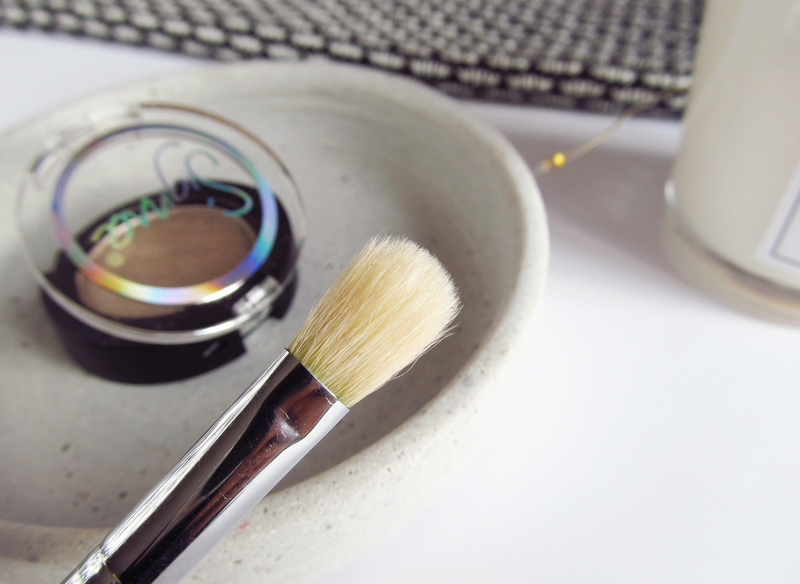 I thought I would never say this, but a small concealer brush is a new necessity I never thought I had. There's no way back. 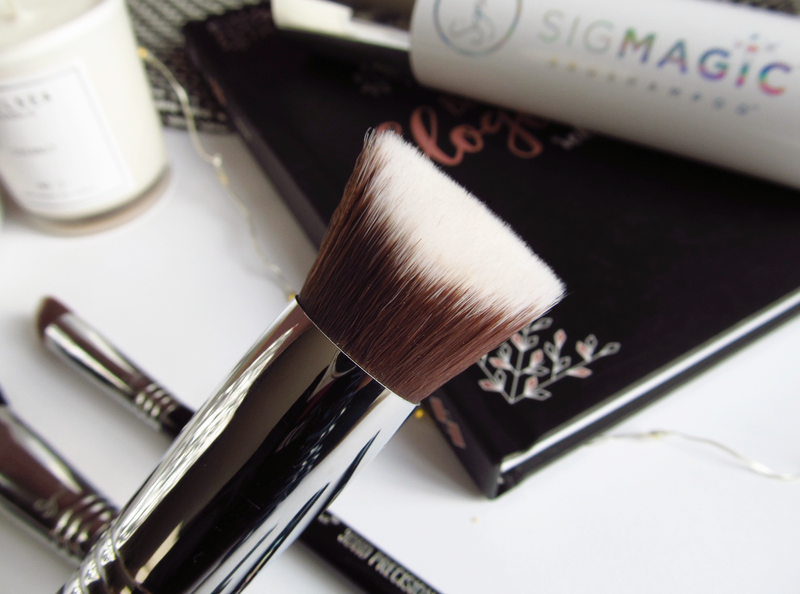 I love a good stippling brush and Sigma Duo Fibre Powder/Blush F15 (28$, chrome/copper, online) is all I want. 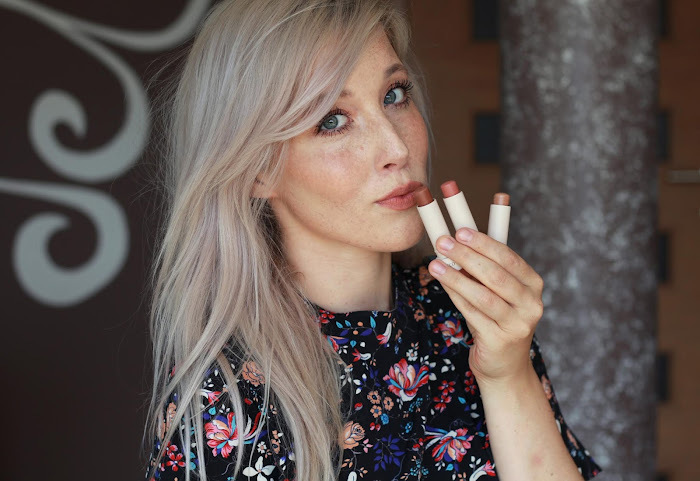 It's enough stiff and yet soft, perfect for powder, bronzer or blush. It's dense, has a good bounce and hair feel super soft. You can read more about it in my previous review. If you prefer simple, daily eye looks you don't need more than 2-3 eye brushes. I can easily make a wonderful, blended eye makeup with only two Sigma brushes. Ultimate brush shape is Blending brush E25 (16$, chrome/copper, online), which has the same MAC 217 brush shape. It's wonderful, I can't live without it. If I could buy only one brush, it's probably E25 because of versatility. 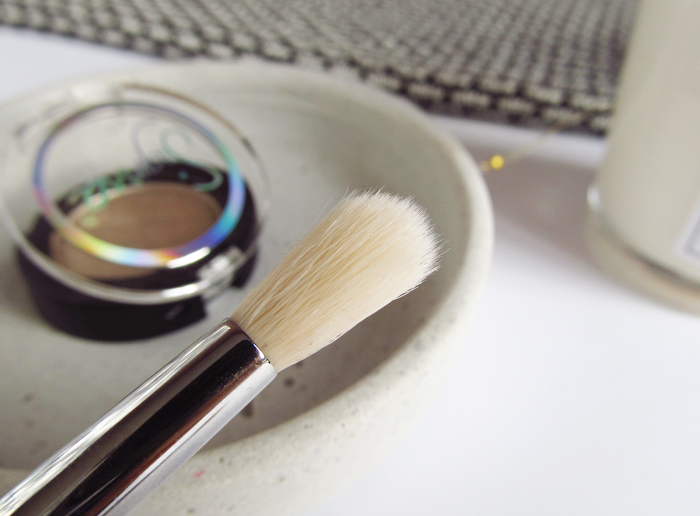 You can use it for blending, packing on eyeshadow, applying color on the lower lashline, buffing and combining colors. The quality is insane and although mine looks a bit beaten, it has survived over 6 years of intense usage. A MUST HAVE! Second one is called Sigma Tapered Blending E35 (17$, chrome/copper, online), which is perfect for intense blending. Any makeup can look professional with this baby. Actually, I have two identical E35, that's how much I love it. Speaking of....I might ''need'' to order a E25 back-up. And if you're already a brush junkie like me? I'm sure you're always on a hunt for a good brush shampoo or gentle cleanser. 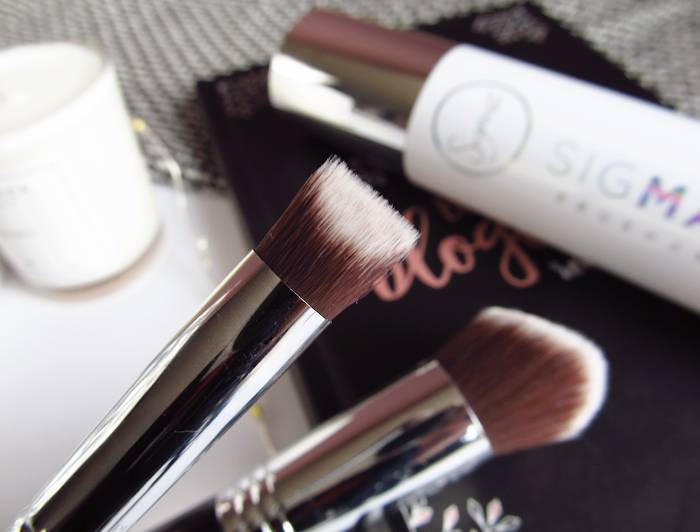 Sigma is known to be innovative company for brush care. Brush Cleaning Glove (25$, online) didn't just fall from the sky, they've invented it. 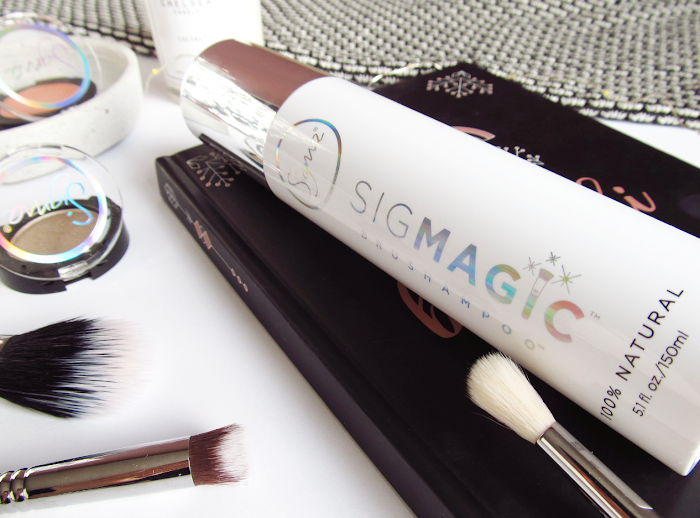 Along with different methods of cleaning, Sigma also released a new Sigmagic Brush Shampoo (15$, online). It's a 2 in 1 shampoo and conditioner, which nourishes and cleans brushes like no other. It has coconut oil to break down any oil-based liquid products from the bristles, while helping to protect natural bristles from drying out. As a first impression, I'm amazed at how good it cleans 3 brushes with only pea size amount. And if you add up the discount and free shipping, it's almost like shopping in your drugstore. I approve! If you want to take advantage of this once-a-year opportunity and get yourself some good brushes, 24th - 25th November are your days to spend. To get 25% off and free worldwide shipping, use code BLACKFRIDAY25. The code is written all around Sigma site, so don't worry. Happy shopping! 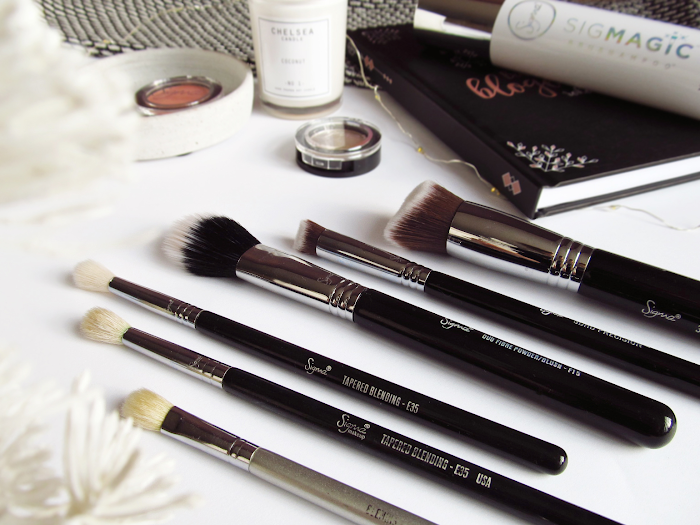 I have a couple of Sigma brushes, but I would like to add a few more to my collection. Love the look of the 3DHD Kabuki in particular! Tale me je letos mikala, vendar pa sem ravno par dni prej naročila ene druge čopiče - pa prihodnje leto. Sigma je res top!